If you ask the owners of many large, family-owned businesses what keeps everyone together, you may notice a trend: philanthropy. Helping others truly does run in the family, and multigenerational businesses are in a unique position to pass along not just the business perspective needed to be successful, but also how to have a positive impact on the community. Even if kids are too young to be involved in the family business, it's never too early to begin coaching children about why it is important to help those who are less fortunate. It's not just large organizations that benefit from giving back -- family businesses of all sizes find that philanthropy offers a way for all ages to come together around a common goal. While most parents strive to raise children that are strong and confident of their place in the world, the reality is that there will always be others who do not have the same opportunities for nutrition, good schools, and a loving family environment. It can be challenging for kids growing up in a family business environment to understand that not everyone has access to the same technology, toys and clothing -- and that being a good steward of finances means finding ways to contribute to the health and well-being of others. This often starts early with a percentage of allowance going to support those in need and can continue to grow throughout their life. Passing a company down through multiple generations is a powerful legacy, and one that provides no small measure of pride when passed along. 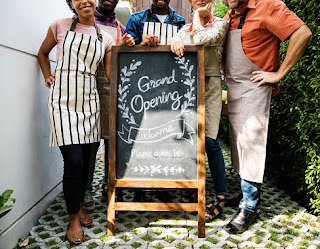 The values of hard work, thrift, and benevolence make for great leaders in the community and in the business -- and are a good way of maintaining strong ties with customers and employees. Even family members who are not a part of the daily running of the business are often able to get involved in a philanthropic effort in some way. Being deliberate about creating goals for your family business around giving is yet another way of enforcing the importance of strategy within the organization. When multigenerational leaders work together to solve challenging problems for the greater good, that hard work often spills over into daily life. A key to selecting a good philanthropic effort is that it's large enough to engage family members of all ages in some way. This allows you to tailor opportunities for service and giving to the specific preferences and strengths of an individual. For instance, some people are born to be fundraisers and are able to weave a compelling tale about the how monetary gifts will be utilized in a way that compels people to provide cash infusions. If others are more comfortable working behind the scenes, there is plenty to be done there as well. Building family values, providing support to the community -- where's the downside? When you need printed materials for your next community project, contact us!